A video shows the shocking moment a basketball player punches an opponent in the head causing him to crash to the ground. 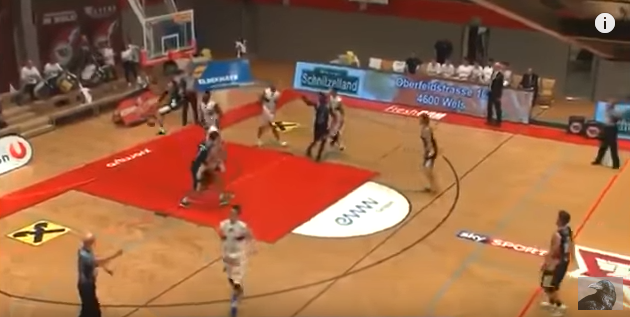 The incident happened during a match between Wels and Kafenberg for the Austrian league when Erwin Zulic of Wels slammed in front of his opponent and hung on to the rim. His move did not sit particularly well with David Samuels who proceeded to forcefully punch Zulic in the head. Samuels’s team subsequently broke his contract with the club.